CRASH+SUES was approached to create a 2-minute, animated trailer based on “Milkweed” by Jerry Spinelli, a book for younger readers about the Holocaust as seen from a young boy’s perspective. The trailer was created to garner interest from investors to create a full-length, animated feature film. 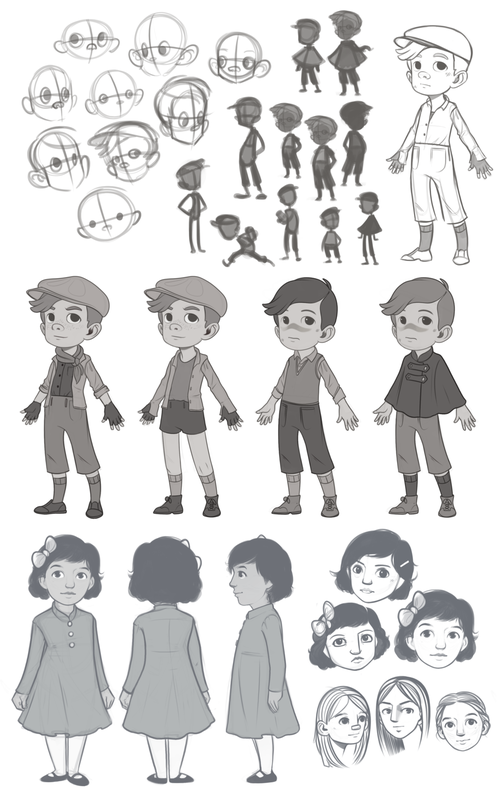 Above all, the client wanted to convey the depth of the Holocaust through the main character, Misha’s, perspective. This piece acts a proof of concept to guide the style and structure of the “Milkweed” feature length animated film. My role in “Milkweed” includes: Creative direction, conceptual development, storyboarding, character design, environment design, pre-visualization, asset creation, rigging, animation, motion design, editing and final delivery.